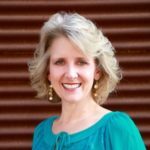 Debbie Roos, SHRM-SCP, may not be in the construction business but feels the title “builder” is a fit for her relatively new role as an entrepreneur. “It’s not a static point,” she said. “It’s pushing my business to the next stage every single day. 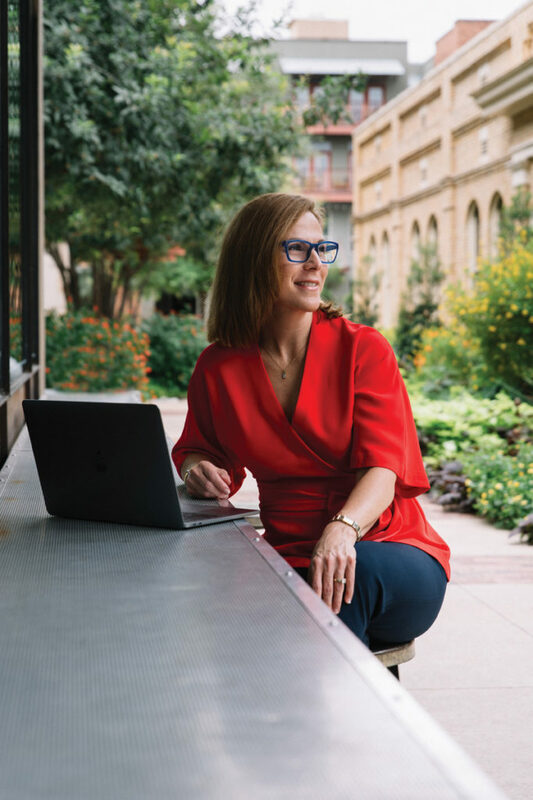 Building my business is a process, so I have to envision myself as someone different than just the owner, founder, CEO.”Roos offers consulting, coaching and organizational development through Simply People, which she founded after more than 25 years of growing and developing people in organizations such as Accenture, USAA and HEB. Simply People offers consulting, coaching and organizational development to help teams work better together, as well as working one-on-one with executives, managers and front-line contributors to set and achieve objectives. “We know that people are designed to do phenomenal things. 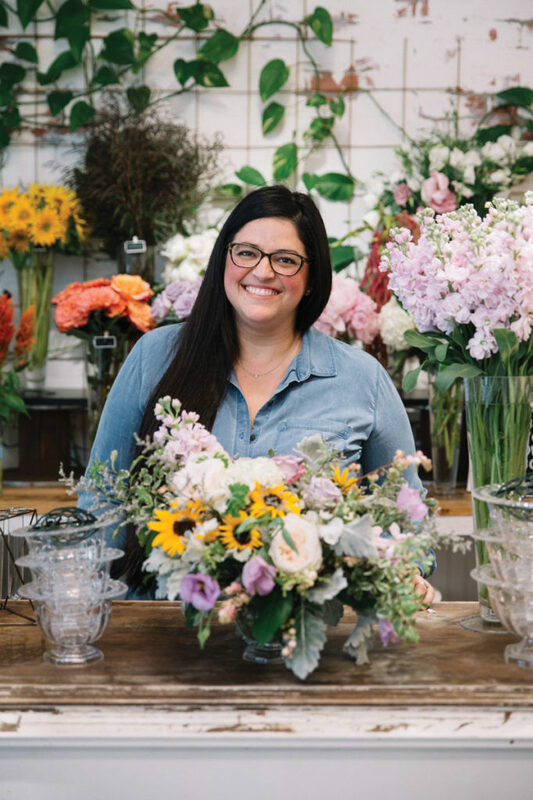 It’s about making it possible so that the environment can allow people to do great things.”While her business may be relatively young, it’s a concept she’s had in mind since she was in college. 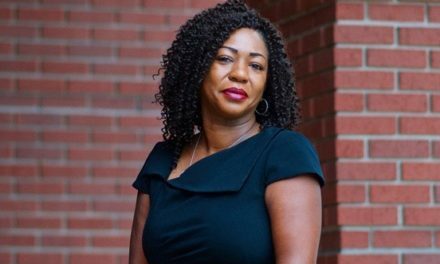 Now that she’s jumped into business ownership, her advice to others is to jump in as well. “Go try it. If you have something you want to do, do it,” she said. “Being slightly uncomfortable, nervous, on edge is often that entrepreneurial spark at play. It means you care, you’re learning, there’s an option worth exploring. When you feel comfortable, safe like you’re cruising, it’s time to shake it up: disrupt yourself, your business, your thinking. That’s where the creative genius comes from. Cheri Stith and Jamie Weyand’s friendship began more than 25 years ago when their children were in the same class at school. 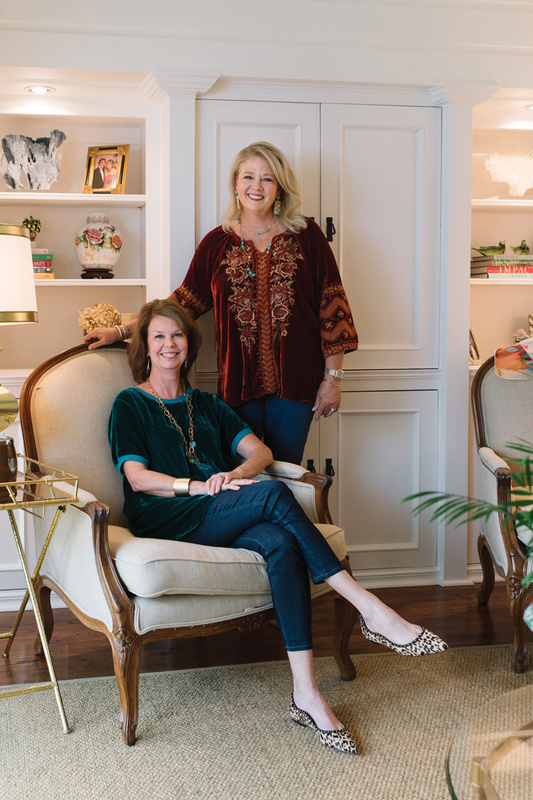 Their friendship bloomed into their business, Feather, Fluff & Flings, 12 years ago when they combined Stith’s interior design and holiday decorating expertise with Weyand’s advertising and marketing background. Together, they offer home staging, ready-to-sell consulting, interior design, seasonal decorating, and private party and social event planning. But it all started with wreaths.“It really just bloomed. Making wreaths became doing doorways, then interior staircases, mantles, tables, even gates,” explained Stith. Both she and Weyand credit word of mouth and lasting relationships for their success. “We have incredible clients who continue to call us over and over again. It’s not one and done — it’s a lasting friendship.”Viewing their clients as friends is fitting for the business partners and close friends who seamlessly finish each other’s sentences as they talk. “We both bring different talents to the table. Cheri is very creative and thinks outside the box, and then there’s some of us that think budget,” explained Weyand. “It’s left brain, right brain. She’s [Weyand] the voice of reality,” laughed Stith. Together with their hard-working team, they’ll tackle decorating 80 houses for Christmas this year, working all but two days from Nov. 1 to Dec. 20. On those two off days, they’ll celebrate Thanksgiving and decorate their own homes. “What makes it work is the blessing of energy, creativity, organization and very supportive families,” noted Weyand. 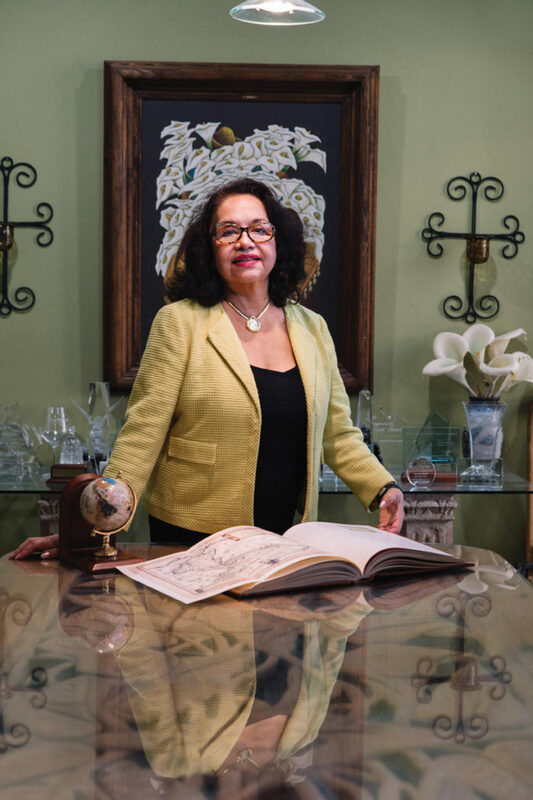 When Patricia Stout opened the doors to her first travel agency, she started from scratch, with no computer skills. However, closing three sales on her first day proved her sales ability, and, thanks to her dedication, her tech skills quickly caught up. “Every day is a new day and every day you learn something,” she explained. 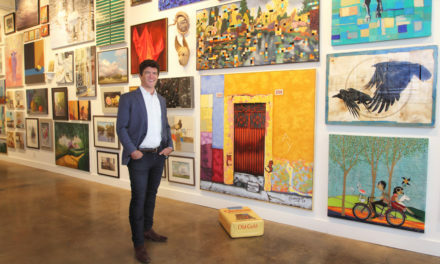 She began participating in programs offered by the City of San Antonio and local chambers of commerce. At a business development session, a speaker said that everyone could become government contractors. It spurred her to jump in and figure out government contracting. Fast forward 35 years and Alamo Travel Group is a full-service travel agency serving clients with worldwide travel services to include family vacations, group travel, cruises, getaways, destination weddings and honeymoons — and one that specializes in military and government contracts.“Surround yourself with people who know more than you,” she advised. Stout believes that being humble about your experience and knowledge is key. “Women tend to be like that. I think it’s why we’re successful. We listen. We know we don’t know everything and we ask questions.”When she started back in 1983, she never expected the road ahead. “It was rough at times, but why should it be easy?” she asked. Stout does believe, however, being in San Antonio helped her succeed. It’s a great place to become an entrepreneur. If you have the stamina, you can pursue your dreams.